The art of tie-dying garments can be traced back for centuries. The colorful textile art took center stage in the 1960s during the hippie movement, and tie-dyed T-shirts remain fashion staples. The accessibility of tie-dying makes it a perfect do-it-yourself project. 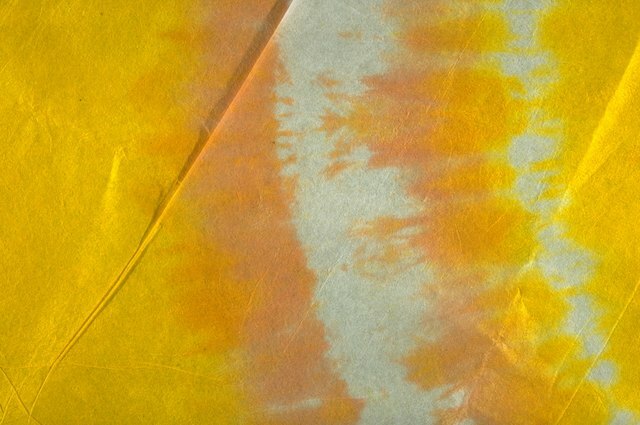 Color fading or bleeding may result during the tie-dye process without proper color setting. A few easy steps while making your tie-dye shirt will ensure that your garment stays bright, vivid and eye-catching. Wash your T-shirt in advance, according to manufacturer's instructions. Removing chemicals, such as sizing, from the shirt will help dyes set. Add half a cup of salt to your dyes and allow it to dissolve in the liquid before soaking the shirt. This will help the dye set. Follow manufacturer's instructions when you dye the T-shirt. Methods vary depending on the type of dye you use. Fiber-reactive dyes generally use soda ash and may be used at warm temperature. Fabric dyes that are not fiber reactive often require the use of hot or boiling water on the stove top for tie-dying. 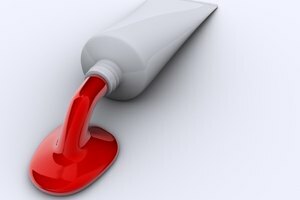 If you do not heat the water according to the dye's instructions, your colors will not set. Place your shirt in a plastic bag immediately after dying. Tie the bag closed. Allow the shirt to sit at least 24 hours to fully set the dye. 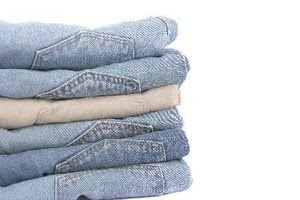 Rinse out excess dye before loading garments into the washing machine. Place your T-shirt under warm, running water in the sink until the water runs clear. Remove the rubber bands and continue to rinse until all water runs clean from the shirt. If you do not remove excess dye before laundering, your shirt may soak in muddy-colored water in the washing machine. Wash the T-shirt in warm water to remove any excess dye. Some dyes come with a soda ash solution for pre-soaking the fabric before dying. Although this step helps set dyes, only pre-soak your shirt in soda ash if this step is specified on the product label of your dye. Always wear rubber gloves when handling dye. Do not wash your shirt for the first time with other garments, since the dyes may affect other items of clothing.